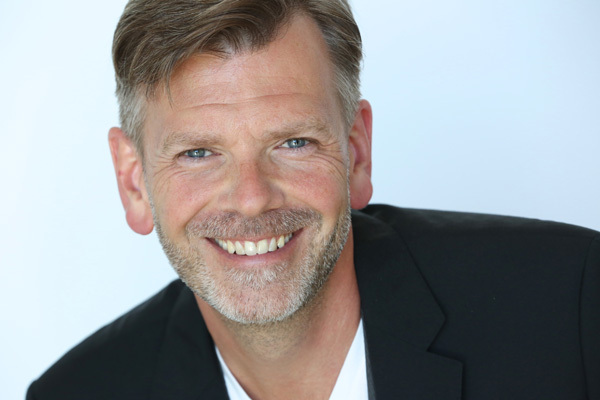 Thor Steingraber, former vice president for programming for The Music Center in downtown Los Angeles, has been named the new executive director of the Valley Performing Arts Center at California State University, Northridge. Steingraber brings more than 24 years of artistic and management experience to the position. He assumes his new job March 1. Provost and Vice President for Academic Affairs Harry Hellenbrand, who oversees the Valley Performing Arts Center, said he was looking forward to Steingraber joining the campus community. Since it opened three years ago, the 1,700-seat Valley Performing Arts Center has established CSUN as a hub for culture and performing arts in the region. It has hosted a variety of events, from political debates and community forums to its diverse and vibrant performance program that includes music, dance and the dramatic arts. Steingraber said he was looking forward to his new job as head of the Valley Performing Arts Center. The performing arts, he said, are increasing multidisciplinary and audiences are interested in supporting a wide range or performances. Steingraber’s executive experience includes serving as vice president for programming at The Music Center and previously as senior vice president for strategy and planning at the Kimmel Center for the Performing Arts in Philadelphia, Pa. At The Music Center, Steingraber was responsible for the opening of Grand Park, 12 acres of public space that stretches from Los Angeles City Hall to The Music Center. The park is home to a variety of programs, from concerts and festivals to recreational activities and political events. Steingraber said he would like to see the programming at the Valley Performing Arts Center reflect a diversity of offerings similar to those offered at Grand Park under his leadership. For nearly 20 years, Steingraber directed operas and other performances at venues throughout the world, including numerous productions at the LA Opera. He was also in residence at the Lyric Opera in Chicago for 10 years, culminating with he staging of Wagner’s 16-hour “Ring Cycle.” He served as a distinguished guest artist at Cal State Long Beach in 2008 and taught at Indiana University in 2003, the Curtis Conservatory of Music in Philadelphia in 2004 and the Yale School of Music in 2007. He was the recipient of the Houser Fellowship for Arts and Culture at the Harvard Kennedy School from 2008 to 2009. Steingraber earned his bachelor’s degree in theater/drama from Indiana University in 1988 and his master’s in public administration from the Kennedy School at Harvard University in 2009. Steingraber replaces Robert Bucker, who stepped down last summer as the center’s executive director and dean of CSUN’s Mike Curb College of Arts, Media, and Communications, to become dean of the College of the Arts at Portland State University. The search for a new dean of the Curb College is currently under way. For more information about the center or performances, visit the center’s website at http://www.valleyperformingartscenter.org/ or call the ticket office at (818) 677-3000.